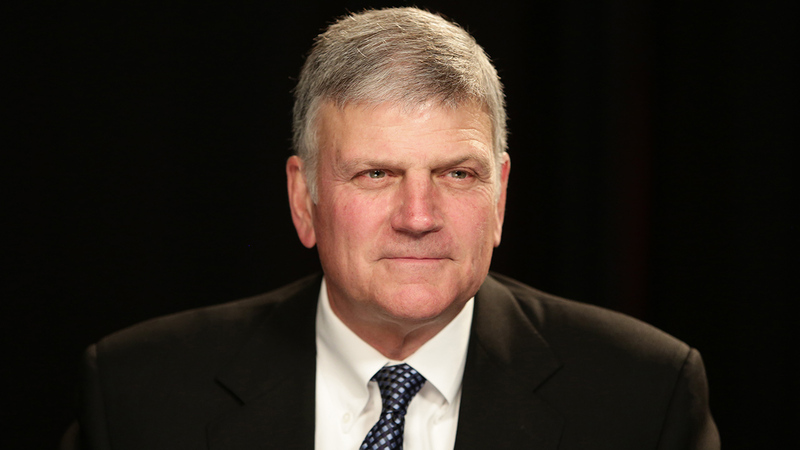 Franklin Graham, one of the few prominent Christian leaders vocally supporting President Donald Trump's refugee ban, is clarifying his position. Tuesday morning in a Facebook post Graham said: "Some are also criticizing Christians who support the president's position on immigration-and I'm one of those being criticized. But we have to realize that the president's job is not the same as the job of the church." Graham is standing by his original a statement issued over the weekend that said he backed a closer examination of refugees' views on "freedom and liberty," adding that Islamic law was incompatible with the Constitution. However, he added: "As Christians we are commanded to help all, regardless of religious background or ethnicity, like the Good Samaritan Jesus shared about in the Bible." In July of 2015 Graham proposed a ban on Muslims entering the United States, saying that the country was under attack by "evil."